The Education Sector Logon upgrade project involved moving over 70,000 users onto a new central identity and access management system, which provides secure access to 22 core business applications. 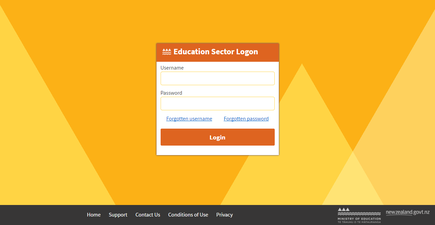 With a budget of $16.7 million and the involvement of key stakeholders from across the sector and government, the Education Sector Logon upgrade was a major technology undertaking by the Ministry of Education. The pressure was on from all sides to land the project well, and, by all accounts, it did. According to Zoe Griffiths, the Ministry of Education's Deputy Secretary for Business Enablement and Support, the project not only met all financial and non-financial benefits it set out to achieve, but exceeded many of them. "Despite being under immense pressure to deliver to time, to budget, to expectations, and to a large number of diverse requirements, the project delivered both a successful outcome and emerged with a solid positive reputation with all stakeholders, including cross-agency groups," says Griffiths. "Complimentary feedback came from many end-users and stakeholders, including agency, business and commercial partners - something that is not often experienced in a public-sector project setting." In addition, the project has also gained external recognition. It is one of three finalists in the Psoda Project of the Year Award. As part of the annual Project Management Institute of New Zealand (PMINZ) Awards, the Psoda Project of the Year Award recognises superior performance and execution of exceptional project management. So, what lies behind the success of this project? One factor which added greatly to the overall complexity of the project was that it involved a very diverse range of stakeholder groups. "The project dealt with a variety of wide-ranging and sometimes divergent stakeholder groups from across a number of political, commercial and public arenas, all of whom had to be managed appropriately, sensitively and effectively," says Rogers. "We developed a wide and deep multi-layer engagement model to ensure all people impacted within each stakeholder group were identified and addressed with the right information and support at the right time and in the right way," says Rogers. Crucial to the success of the project was the governance provided by an Education System Identity and Access Management programme board. 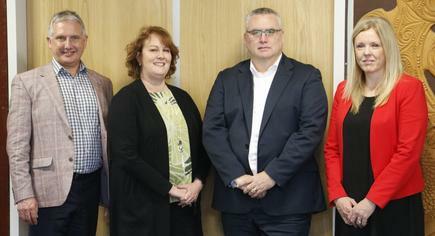 With a focus on a range of identity and access system issues affecting the education sector, the board included senior management representatives from all the impacted agencies. "It is very challenging to engage and satisfy stakeholders across an entire sector, especially one of the scale of the education sector where several large agencies often have competing agendas and timelines. Having this board meet every month to govern the project played a critical role in its successful outcome," says Rogers. "We spent a lot of time during the design of the system working with the people who would be using it. We wanted to make sure we had users involved for the journey from the early stages," says Rogers. However, this added complexity to the project, significantly increasing the risk of a timely delivery and that the scope would meet the requirements of all stakeholders. To manage this, a cross-agency governance team was set-up, along with an Agile software development team with representatives from each stakeholder to ensure the resulting service met requirements of all stakeholders. This level of cross-agency collaboration is unique in the public sector, says Rogers. "This was the first time the Department of Internal Affairs collaborated with another government sector to provide a comprehensive service complementary to RealMe," says Rogers. "Normally government agencies all do their own thing. It is difficult to make collaboration happen on that scale, but we knew if we got this working it would have huge benefits, as it had the potential to be an all-of-government asset that could be repurposed for use by other government agencies." With a significant amount of Microsoft infrastructure deployed in the education sector, the team decided Microsoft's Azure Active Directory B2C cloud-based identity service would be an ideal component in the new system. There was one catch - the technology had not yet been released - posing both an opportunity and another multidimensional risk to the project. To mitigate the risk presented by deploying pre-release software, the team engaged directly with Microsoft international head office in Redmond and ended up working directly with the Azure development team day-to-day. "Because time was running out for us, we couldn't wait for the software to be released, so we had to approach things differently and deal with Microsoft head office directly," says Rogers. "Our development team worked with the development team at Microsoft to ensure our requirements were met. They even brought ahead the development of some of the capabilities we needed." "The success of the implementation from a project management and technical perspective was noted by senior management from Microsoft," he says. The overall management of the project was distinctive for several reasons and was noted for its innovative and flexible approach, says Rogers. "From the start, we decided individual project work-streams would be run using the most appropriate approaches to deliver the outcomes required," he says. While there were some complexities running the two approaches alongside each other, with proper planning it was achievable, and meant the best tool sets were used for each part of the project, says Rogers. "It does not make sense to blindly follow a particular methodology - you need to focus on the outcome you want to achieve and apply the approach best suited to lead to that outcome." The lessons the project team learned from this approach will go on to help to support future projects at the ministry, with a new Digital Identity Agile team established in the wake of the project. "Indeed, it can be an example for any project dealing with the same level of immense complexity, vast range of stakeholders and requirements, and extremely high expectations." Bruce Aylward is founder and CEO (‘chief everything officer’) at PSODA. He is writing this ahead of the PMINZ Awards whose winners will be announced at the 2018 Project Management Conference in Auckland on 20 September. The two other Psoda Project of the Year finalists are Mercury for its Maraetai Dam Intake Rehabilitation project and Beca for the Watercare Mangere Biological Nutrient Removal upgrade.